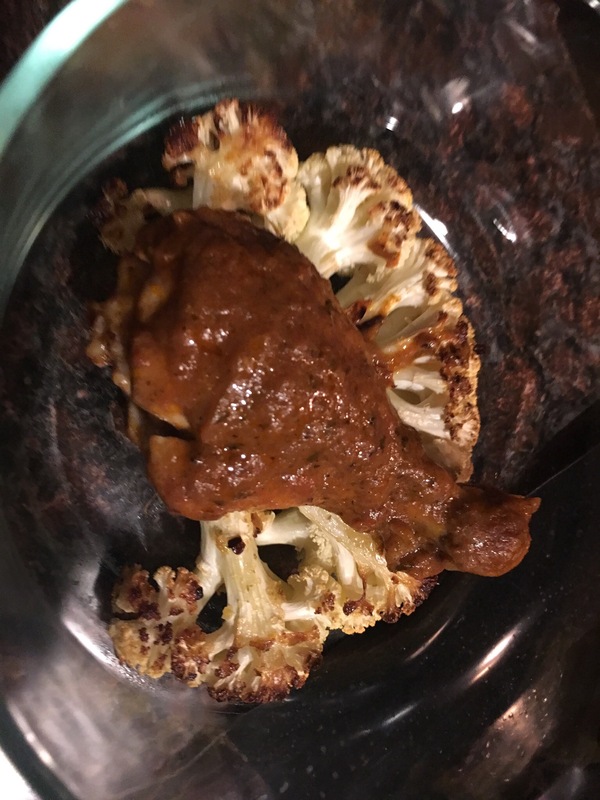 Roasted Cauliflower – Hurried Home Chef! 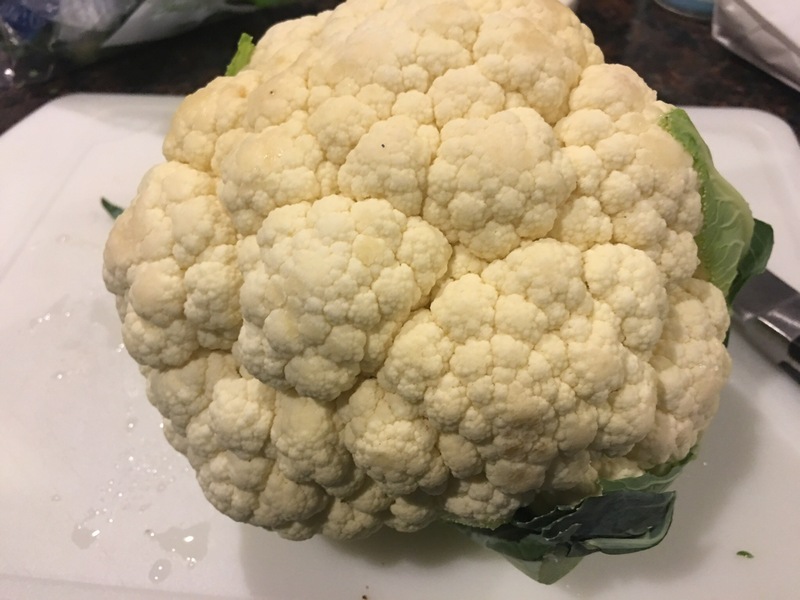 What to do with cauliflower? You can rice it, mash it, steam it, but I like to roast it. This will only last as long as the weather is cool, because once summer hits, the oven will be staying off. Here, I have ‘steaked’ it, by just cutting it down the middle to have about a 1 inch slice. I brushed it with EVOO, then gave it some salt and pepper. Baked at 350 for about 30 minutes. Then I flipped it and added the salmon to the middle. After another 20 minutes, it was done. Here, I topped with a chicken tikka that I just cooked not the stove top with a simmer sauce from the store. Still working on that recipe! Here the cauliflower is in place of rice. 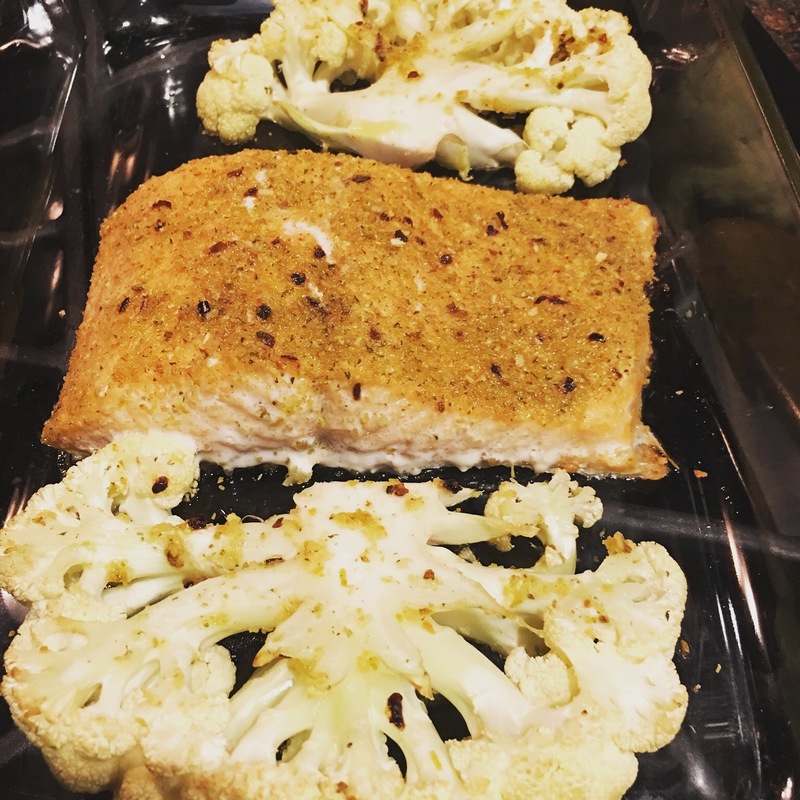 Bonus dish is the salmon with it on the side.